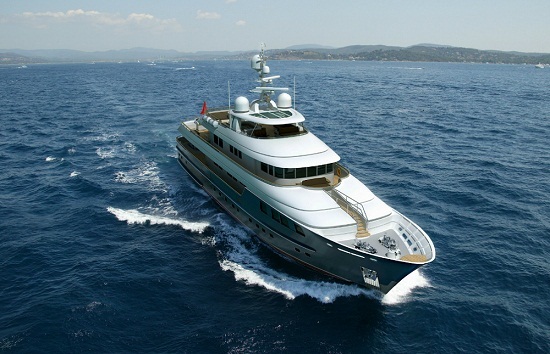 Kingship has launched the Vripack designed 42 metre superyacht Star. The yacht will lift her anchor and sets course for Hainan where she will have her public debut at the upcoming Rendez Vouz from April 5th to 8th. The dark blue and off white yacht boost unparalleled long range and comfort features with a Dutch minimalistic white interior. Leaving the Kingship yard at Zhongsan in the Pearl River Delta the Vripack designed Star will make a quick sail by Hong Kong and Macau and than head South to Sanya on the Island of Hainan nick named the Chinese Riviera.